The second week of April will be characterized by dynamic weather with severe storms and rain events across southern Europe, while a strong ridge dominates the Arctic region and northern Europe. A strong ridge is located over the Arctic region, while deep trough enters the NW Atlantic. One low is over the Scandinavia and Baltic region while two large upper lows bring stormy and rainy periods over Iberia, Mediterranean and Turkey. Meanwhile, new cold advection is progressing towards central Europe as meridional flow establishes to the east of the upper ridge and high pressure system over far N Atlantic. Pattern remains very similar to the day before with the only difference in the progression of cold advection into central Europe which is building up and becoming significant further north towards southern Scandinavia. The Arctic ridge expands into Scandinavia and favours additional advection of very cold airmass towards south. Cold airmass is now spreading also towards western Europe. 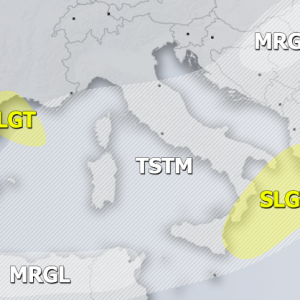 The shallow upper low remains over the Mediterranean region. The upper ridge is now over N Europe with an upper low ejecting on its southern flank towards the WSW, now resulting in cold advection into W Europe. The shallow upper low also brings colder airmass into the N Mediterranean as northerly winds establish. In response to a deep low over the NW Atlantic, very strong warm advection pushes into Iceland and Greenland. The upper low with much colder airmass continues across the central and western Europe, while upper ridge is drifting east as deep troughs establish over the N Atlantic. A very warm advection continues across the Arctic region. The upper ridge is now over Scandinavia while one of the cores within the large trough over N Atlantic pushes towards Iberia and W Europe. This will start the pattern change of returning warmer weather into western and southern Europe next week. Stay tuned for further details on the pattern evolution through the coming days via mesoscale discussions and daily severe weather outlooks.